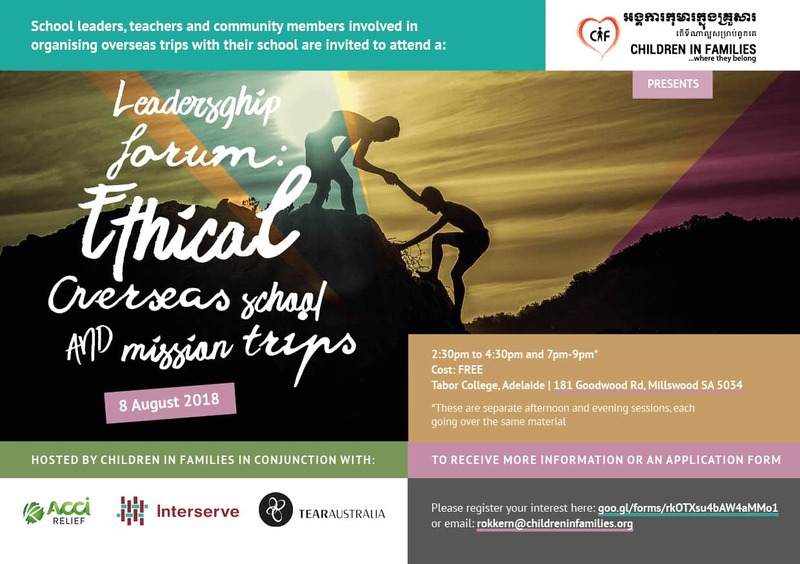 Interserve Partner Stacie, along with Children in Families in Cambodia, are launching a new ethical school visit program, Rok Kern. 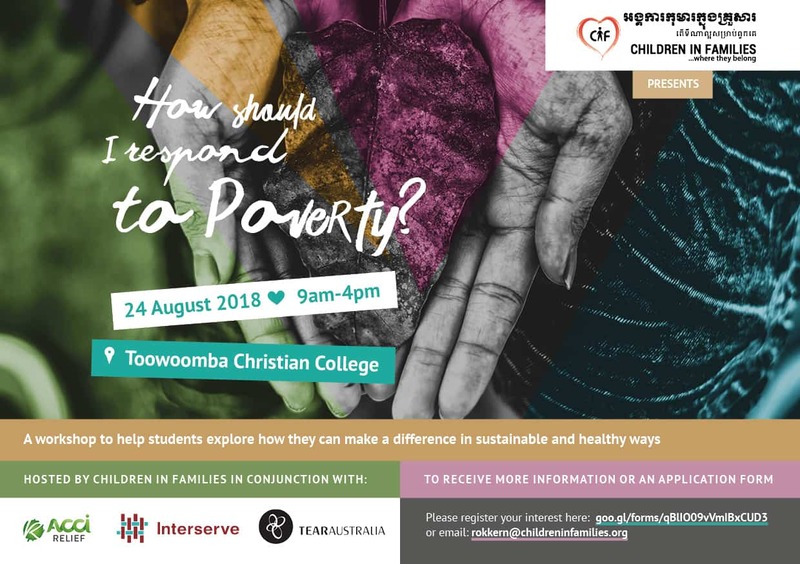 These workshops and forum is for schools or short-term teams who would like to help their students explore what it means to respond to poverty, and make a difference in sustainable and healthy ways. Click on the images below to download the full flyer for each of these events. 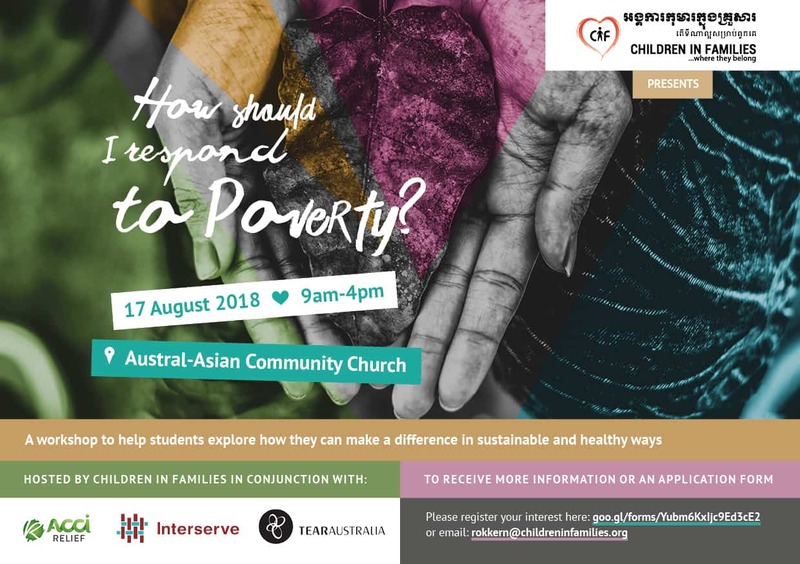 It will give you more detail about what these workshops and forum entails, and how you can be involved.